On October 1st 2013, embark on a magical and enchanting journey around the world with NY Times bestselling author Elizabeth Gilbert! 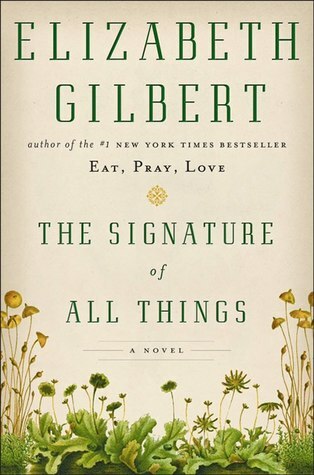 Gilbert is the best selling author of Eat, Pray, Love and on October 1st, she will release her first novel in twelve years, The Signature of All Things. 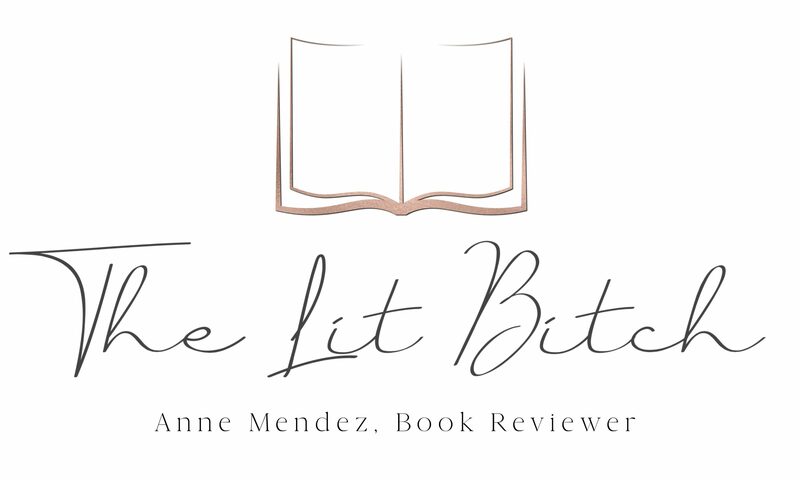 Ironically, I would say the most commonly asked question from my reads is if I have read Eat, Pray, Love….I have to admit, I have not. I have seen the movie though which I am sure doesn’t come close to the book itself. When a book starts receiving lots of hype I usually try and steer clear until the hype dies down. I don’t want the hype to influence my review, opinion, or expectations which is why I avoided Eat, Pray, Love initially, but with that said, now that I’ve started exploring Gilbert’s other works I will gladly pick up that book in the future! I first learned about The Signature of All Things when Gilbert announced that her fans would be picking the cover of the novel. Since then I have been unable to get this upcoming novel out of my head. Viking recently released the official book trailer as well and after watching that, I was even more excited about its coming release! I love ‘travel’ or ‘adventure’ novels and this sounds like it will be right up my alley! I am sharing the book trailer here which I hope sparks as much excitement for my readers as it did for me! Gilbert triumphantly returns to fiction with a big novel, about a big century, written in the bold, questing spirit of that singular time. Alma Whittaker is born into perfect Philadelphia privilege; an independent girl with a thirst for knowledge, Alma quickly comes into her own within the world of plants and science. Her father, Henry Whittaker, is a willful and charismatic botanical importer and pharmaceutical magnate whose vast fortune belies his lowly beginnings as a vagrant in Kew Gardens. Her mother, Beatrix, a strict woman from an esteemed Dutch family, has a grasp of botany that is equal to any man’s. Her saintly stepsister, Prudence, is one of unparalleled beauty and decorum. As Alma’s careful studies of moss take her deeper into the mysteries of evolution, the man she comes to love, a mysterious painter of orchids named Ambrose Pike, draws her into the opposite direction  into the realm of the spiritual, the divine, and the magical. Alma is a clear-minded scientist of dogged perseverance, Ambrose a utopian artist who longs for purity and communion. But what unites this couple is a shared passion for knowing  a desperate need to understand the workings of this world and the mechanisms behind all of life. She is a witness to history, as well as a maker of history herself. She stands on the cusp of the modern, with one foot still in the Enlightenment Age. Brilliantly researched and lovingly crafted, THE SIGNATURE OF ALL THINGS carries the reader breathlessly across the globe. It is a work of extraordinary faith and of deep scientific reflection. Perhaps above all, it is the story of an irrepressible woman, determined to satisfy her most powerful urges toward both love and knowledge. A novel immersed in all the great questions of the nineteenth century, THE SIGNATURE OF ALL THINGS is also very much a novel for our times. For more information and exciting updated be sure to visit Gilbert’s website and follow her on Twitter! Elizabeth Gilbert is the acclaimed author of five books of fiction and nonfiction. Her 2006 memoir, Eat, Pray, Love, was a #1 New York Times bestseller; it has been published in more than thirty languages and has sold more than 10 million copies worldwide, and in 2010 was made into a major motion picture starring Julia Roberts. Gilbert’s novel Stern Men was a New York Times Notable Book, and her most recent work, Committed  a memoir of marriage  was a # 1 New York Times bestseller. In 2008, Time magazine named Gilbert one of the most influential people in the world. I’ve only read her non-fiction books, which were good but not fantastic but I’m looking forward to reading this one! Thanks for sharing!